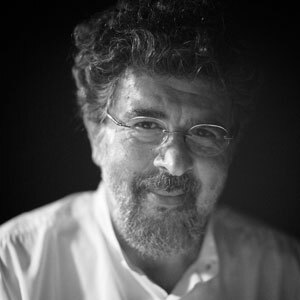 Gabriel Yared was born in Lebanon in 1949. At age 7, Yared took accordion lessons and eventually piano and theory lessons. He also learned the organ and began studying the works of classical composers. As a teenager, he began to compose his own works. His early works include a piano waltz and a piano trio. Arriving in France in 1969, Yared attended composition classes with Henri Dutilleux and Maurice Ohana as an unregistered student at the Ecole Normale de Musique. In 1971, Yared visited his uncle in Brazil and ended staying more than a year. He continued composing in Brazil as well as performing in concerts and clubs. He eventually moved back to Paris, staying with Georges and Michel Costa. Together they collaborated on songs, with Yared orchestrating and composing parts for choir and strings and percussion. He continued orchestrating at an incredible pace for years. He collaborated with artists like Charles Aznavour, Johnny Hallyday and Mireille Mathieu. 1975 was the year that Yared composed his first film score, “Miss O Ginie ou les hommes fleurs”. In 1976 got away from just orchestrating and became a songwriter, working with Françoise Hardy. He also was a producer on several albums and wrote several radio and TV jingles – including the theme to the evening news for TF1. It was in 1980 with Jean-Luc Godard’s “Sauve qui peut la vie” [Every Man for Himself], that launched Yared into the film industry. He continued with many scores and began collaborating with Jean-Jacques Beineix for The Moon in the Gutter (1983). Also with Beineix, Yared scored Betty Blue (1985). The film received nominations for the BAFTA and Foreign Language Oscar. Yared’s score was nominated for a César Award. Much of the score to Betty Blue was inspired by Yared’s stay in Brazil. Yared also worked with director Robert Altman for the comedy Beyond Therapy (1987). One of Yared’s great scores from the same time is Camille Claudel (1988). With Robert Altman, Yared composed the score to Vincent and Theo (1990). With Jean-Jaques Annaud’s The Lover (1992), Yared won his first César Award for Best Music. He also composed the score for Annaud’s Wings of Courage, a hidden gem of a score. Yared’s biggest breakthrough was for the 1996 box office hit, The English Patient. His music for Anthony Mingella’s film featured haunting themes with an African flavor, hints of folk songs and even adaptations of Johann Sebastian Bach. The film won tons of awards and the score was no exception. Yared won the Oscar, the BAFTA, the Golden Globe, and a Grammy. After the Oscar win, Yared was pigeonholed into more romantic films, like City of Angels (1998). The track “City of Angels” was nominated for a Grammy. 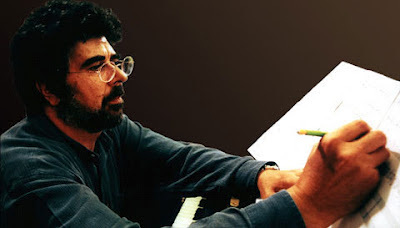 At the same time, his score for Les Miserables (1998) was rejected and replaced with a score by Basil Poledouris. Back to romantic scores, he composed the score to the sappy drama Message in a Bottle (1999). Yared and Mingella reteamed in 1999 for The Talented Mr. Ripley. The thriller film featured interesting orchestration and hints of jazz. The Yared piece “Lullaby for Cain”, is one of the film’s highlights. This time at award season, the score was nominated for the Oscar, BAFTA, and the Golden Globe. Yared continued his romantic streak with the weepy Autumn in New York (2000). Other films in the 2000s include Possession (2002), the French drama Bon Voyage (2003), and the somber film Sylvia (2003), which featured Yared’s signature intimate orchestra with solo piano. Oddly enough, one of Yared’s most beloved scores in the film community isn’t actually in the film itself. And that film is Troy (2004). After nearly a year of work on the material (plus recording), the studio and director Wolfgang Peterson rejected his epic score, and replaced it with a James Horner score done in less than 6 weeks. Eventually bits of Yared’s score (along with other random film scores) were inserted later into the director’s edition of the film. In 2006 Yared had the scores Breaking and Entering with director Anthony Mingella and The Lives of Others, the German film which won the Foreign Language Oscar. The score featured the "Sonata for a Good Man", a beautiful solo piano piece written by Yared. He was able to break into more thrillers like 1408 (2007), and the Holocaust drama Adam Resurrected (2008), A Matador’s Mistress (2008). With Anthony Mingella as producer, Yared composed the theme and music to the pilot of TV series The No. 1 Ladies’ Detective Agency (2008). Yared’s lush scores continued with Coco Chanel & Igor Stravinsky (2009) and the lyrical Amelia (2009). With the director of The Lives of Others, Yared was to compose the score to The Tourist (2010). His score was rejected and replaced with a score by James Newton Howard at the last minute. Yared’s cue “Dance in F” was kept in the film and appears at the end of the album. With In the Land of Blood and Honey (2011), Yared’s lyricism shone through the European flavor he added into the score. The score also featured a very emotional vocal soloist. Yared continues his scores to many European-produced films. Recent and upcoming films include historical drama A Royal Affair (2012), French comedy Haute Cuisine (2012), the drama Belle du Seigneur (2012), and thriller Therese Ranquin (2012). Gabriel Yared’s Lebanese/Brazilian/French background has been apparent in his scores. His work as an orchestrator has defined the sound of his scores. In addition to a similar soundscape, many of his scores were conducted by Harry Rabinowitz. Sadly Yared really isn’t in the public eye, certainly not past score fans. His work is far better known outside of the United States, with several European-produced films and many more art house films. I call Yared “the romantic”, a classification he would dislike. He has felt typecast in that role after the success of The English Patient. In a word though, it describes his works and how his scores function in the films. Thankfully, his work with Anthony Mingella allowed him to move away from the typecasting. His epic score to Troy would most likely have turned a corner to get away from being the "romantic go-to". His works continue to be lyrical, with a Mediterranean sensibility and scores that carry the emotional weight of the stories.